Need inspiration for the pool of your dreams? 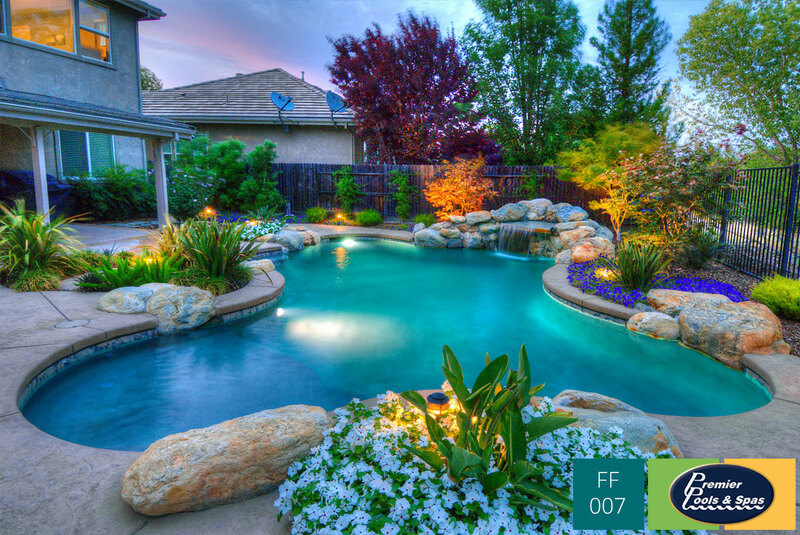 Freeform pools are the perfect tie-in to your nature-oriented landscaping. With the ability to fit perfectly into any space, these freeform swimming pools are not defined by straight lines or hard angles. Freeform pools are often lagoon style or natural style, and incorporate rock features, waterfalls and stone decking. Freeform pools provide a natural design that is perfect for recreation, home enhancement and entertaining. This swimming pool style is relaxed and allows for private, cozy corners and drifting aimlessly on a raft. At Premier Pools and Spas, we design your freeform swimming pool to blend into the surrounding landscape. All measurements are customized to the specific site. We transform your backyard into a private retreat, where you can swim, splash, sun, relax and enjoy time together with friends and family.